The Powerlite 430 Epson projector lamp replacement comes with a genuine original 200 watt Osram bulb inside rated at 3,000 lumens (brightness equal to the original Epson lamp replacement). The Powerlite 430 lamp has a rated life of 5,000 hours (6,000 hours in Eco mode). Our Powerlite 430 Epson lamp replacement has superior brightness and lamp life than other cheaper generic replacement lamps being sold elsewhere. Purchase with confidence from Pureland Supply with a 5-star Google rating, free ground shipping, and a 180 day warranty. Powerlite 430 Epson Projector Lamp Replacement. Projector Lamp Assembly with High Quality Genuine Original Osram P-VIP Bulb inside. I install the lamp and it is as good as when the projector was brand new. The old lamp had over 4,000 hours before it started to get dim. I highly recommend PurelandSupply for digital projector lamps. 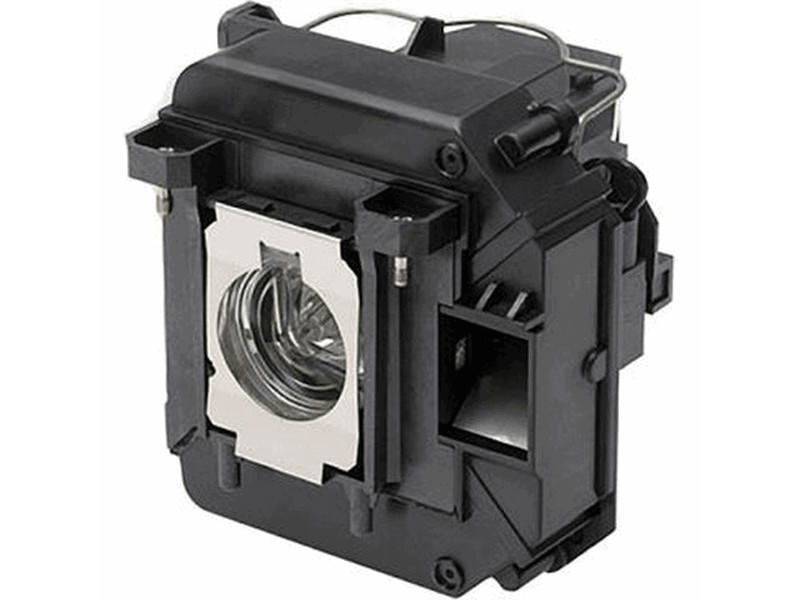 I have purchased many projector lamps from PurelandSupply and it is a great source for lamps. Doug, San Diego, Electronics Tech.